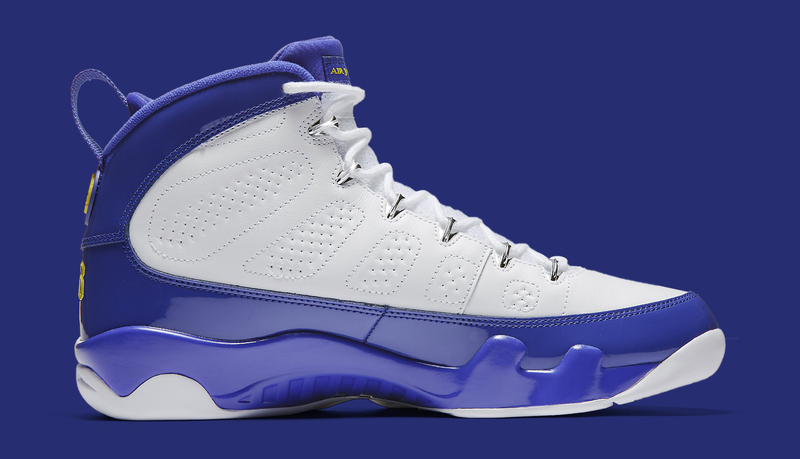 Kobe Air Jordan 9 releasing on Nov. 19. 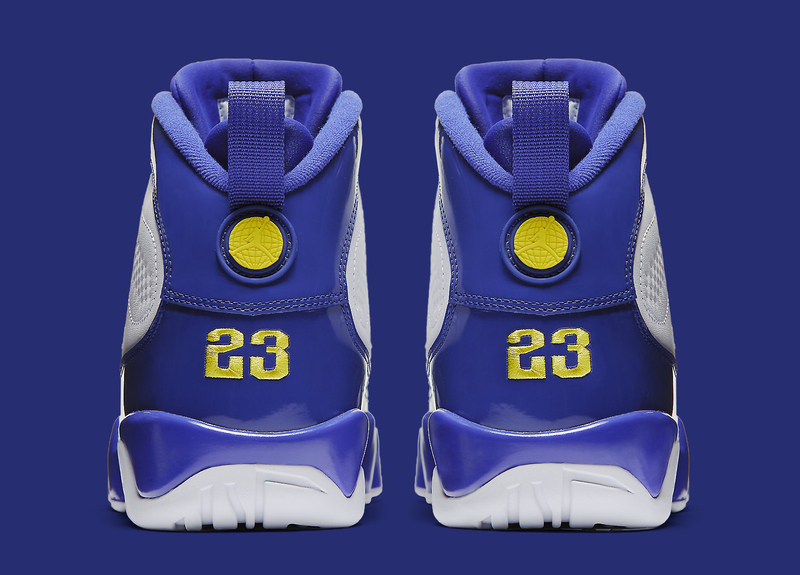 The Air Jordan 9 "Kobe" release date is set for Nov. 19. The shoe hasn't been officially announced by Nike or Jordan Brand yet, but it is appearing now on the release date calendars of chain retailers like Finish Line and Foot Locker. 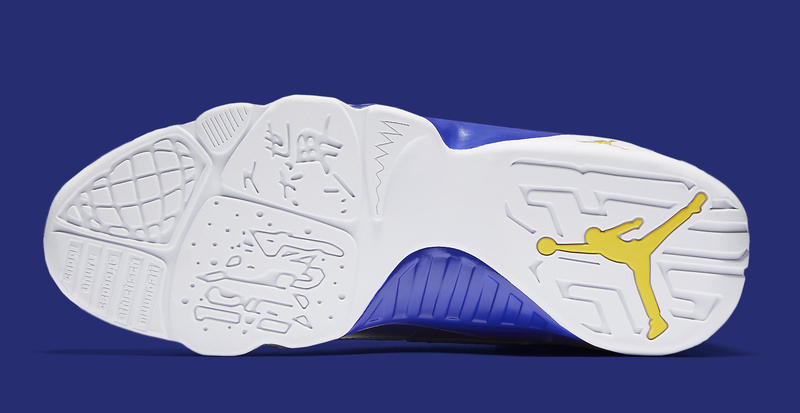 What's also interesting about its appearance there is that the shoe is listed in full-family sizing, so even toddler Jordan fans will be able to participate in this release. 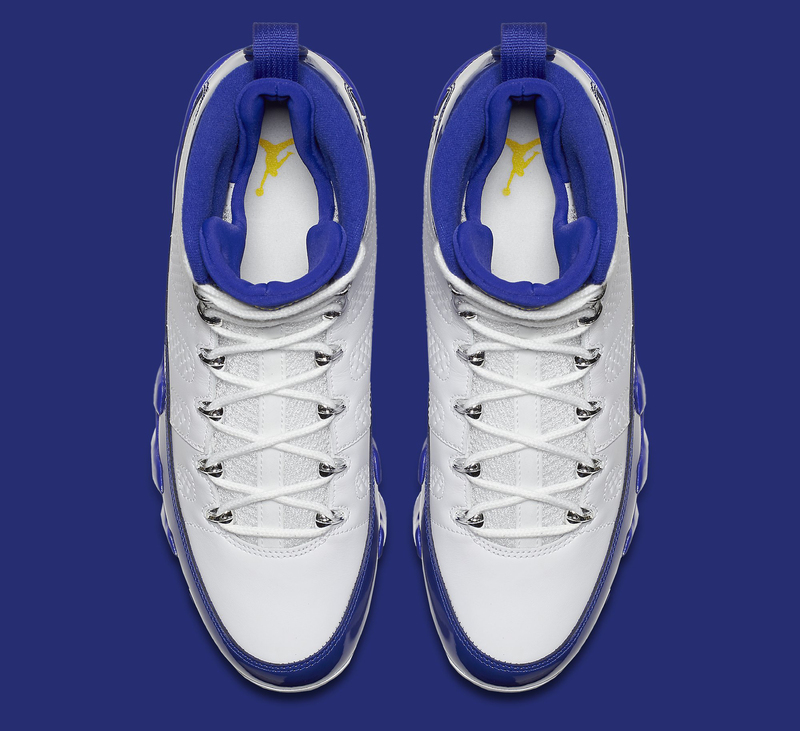 The Air Jordan 9 in question was originally a player exclusive made for Kobe Bryant during his days as a sneaker free agent. There is still no retail release info available for the rumored pack combining Bryant's Air Jordan 3 and 8 exclusives. 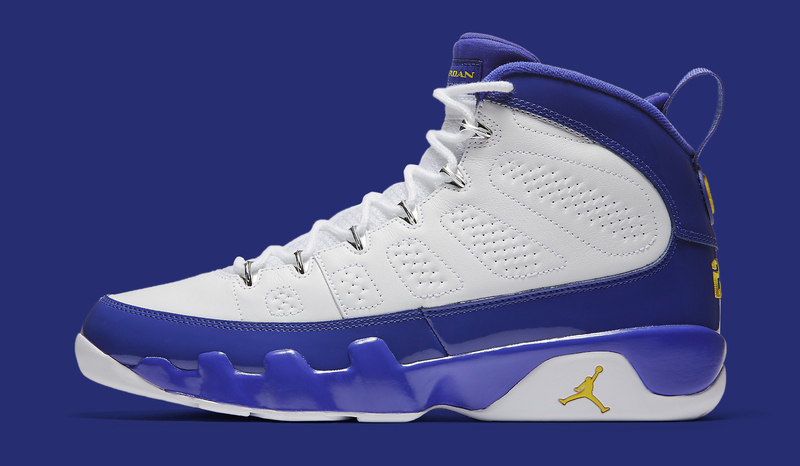 UPDATE 11/11: Official images of the "Kobe" Air Jordan 9.